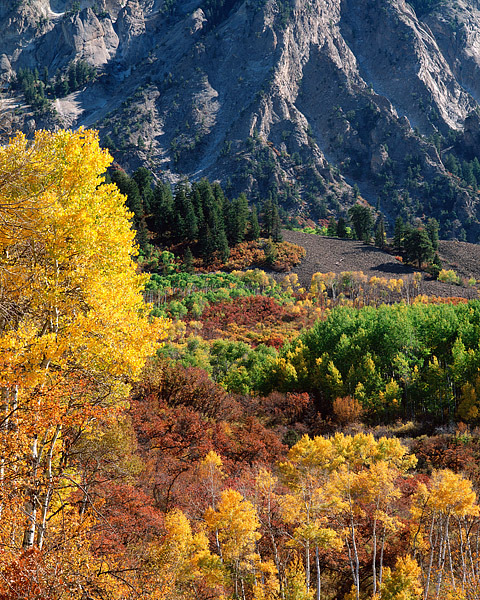 Aspens and Scrub Oak drape the side of Marcellina Mountain with various shade of fall color. Located outside the Colorado ski town of Crested Butte, Marcellina Mountain is a popular location along Kebler Pass Road. Photo © copyright by Thomas Mangan.